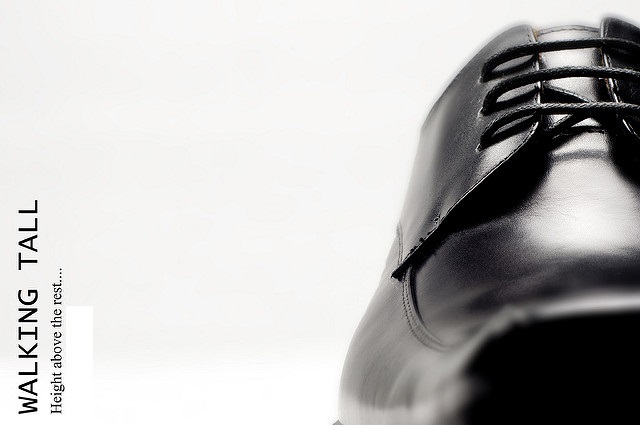 Walking Tall is a men’s shoe brand with a difference. It’s range of footwear comes with hidden heels to give more height to wearers and is stylish, comfortable and affordable. Collections offer a wide range of designs for business or casual occasions, from sporty slip-on to classic lace-ups. Each also comes in favorite shades like black, beige and brown. To make your shopping experience more fruitful and efficient, our friendly and professional sales associates give advice and tips on ways to enhance your overall appearance, so you can maximize the benefits of Walking Tall shoes.. Looking good is about feeling confident. Height creates the impression of presence and authority, which are important attributes in getting ahead at work. At other times, some extra inches can also work wonders. The taller you are, the better you look in clothes. The taller you are, the more poised you look in photographs too. It is little wonder, then, that the quest for height is a continuous process for many men. Although one’s height is determined by factors such as genes, diet and exercise, Walking Tall makes it possible to get taller immediately with its collection of men’s hidden heels shoes. 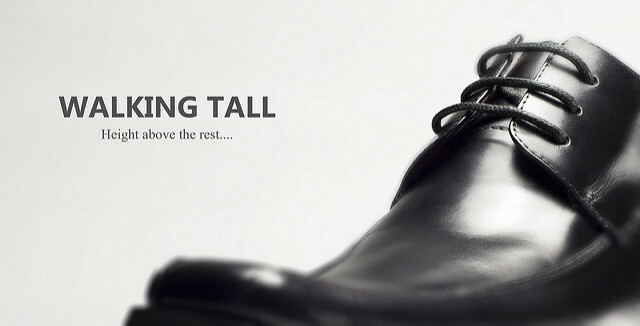 Walking Tall offers a wide variety of men’s shoes crafted to help add height instantly. It’s stylishly-designed shoes come with hidden insoles which add height from 6cm to 10cm. These shoes are comfortable to the feet as the back of the shoes are crafted higher to provide a snug fit, preventing the shoes from slipping off. The gentle elevation also helps to avoid sores and aches. 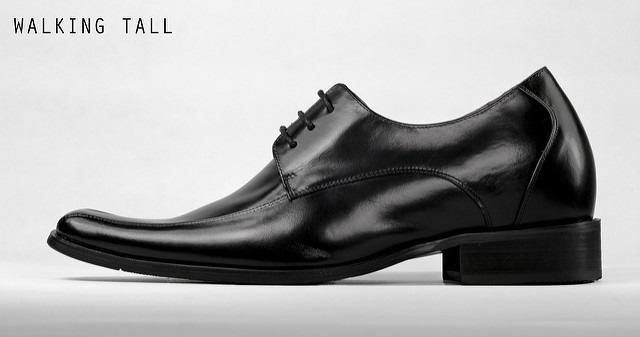 Walking Tall shoes are made of genuine calf leather. Walking Tall shoes is now available in One Raffles Place Level 4, Carl & Oak. The first Walking Tall store was located in OUB Centre, offering quality men shoes designed for the dandy gentlemen in the CBD. Right now, Walking Tall shoes is back to Raffles Place where it began, to continue offering a stylish range of men heightening shoes for the working professionals.